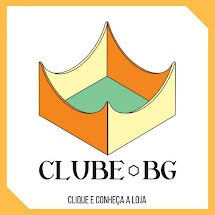 Depois do reconhecimento da galera que elegeu o blog como o melhor do ano passado pelo JoTa e tendo ficado em seugundo lugar na eleição da JogaSampa fiquei com a obrigação de trazer para o pessoal cada vez mais material interessante. Então tomei coragem e resolvi entrevistar meu primeiro autor estrangeiro (o Thomas é quase brasileiro já, hehehehehe) e nada melhor do que começar com quem ta fazendo um sucesso enorme com o Dominion, então sem mais embromação com vocês Donald X. Vaccarino. After being acknowledged by the community with the JoTa Award for best blog and runner up blog for JogaSampa election, I found myself obliged to bring more interesting material to you guys. So, I took a deep breath and decided to interview my first foreign designer (Thomas Ewert is definitely brazilian by now). And no one better to kick off the interview series than the author of the very hyped Dominion. So, without further ado, Donald X.Vaccarino. EatJ? 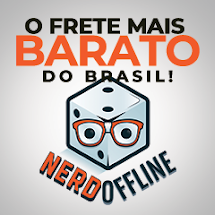 : Fale-nos um pouco de você, como começou a sua história com os board-games e quando você começou a se interessar em criar jogos? EatJ? : Could you speak a little about yourself? How did you begin into boardgaming? What sparkled your interest in boardgaming? DV: Eu jogava na minha juventude e criava alguns jogos de vez em quando mas antes dos anos 90 o único jogo que eu realmente passava horas jogando era o Dungeon & Dragons. 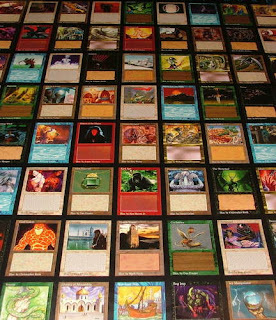 A maior parte da minha conexão com os jogos modernos e alguns mais antigos como o Cosmic Encounter vieram do Magic: The Gathering. Ao jogá-lo, fiz amigos que jogavam outros jogos de tabuleiro comigo. Antes do Magic, eu tinha mais interesse em fazer jogos para o computador. DV: I'm some guy. I played games some in my youth, and designed them once in a while, but prior to the 90s the only game I played a ton of was Dungeon & Dragons. Most of my connection with both modern boardgames and also older stuff like Cosmic Encounter stems from Magic: The Gathering. Playing Magic got me gamer friends who played other boardgames with me. Before Magic, I was more interested in making computer games. EatJ? : Quais são seus autores preferidos e os jogos que você mais gosta? EatJ? : What are your favourite designers and what games do you like the most? DV: Eu coloco o Magic muito na frente dos outros jogos. Eu quero rejogabilidade , não quero ter a mesma experiência em todos os jogos. A maioria deles não me dá a variedade que eu quero, então eles só são divertidos uma vez ou outra. O Magic, por outro lado, tem rejogabilidade suficiente para inúmeras partidas, mesmo sem as expansões que permitem a você continuar jogando por anos. Eu também não gosto de jogos políticos, ou seja, jogos que você pode se juntar contra um jogador específico, escolher quem destruir e coisas do gênero. Eu gosto de jogos com pouco downtime, um pouco de aleatoriedade também , não a ponto da habilidade não contar mas também não a ponto do melhor jogador sempre vencer. Entre os jogos de tabuleiro, eu particularmente admiro o Carcassonne: Hunters & Gatherers. Acho melhor que o original com a pontuação e tipologia melhoradas, além dos tiles especiais. 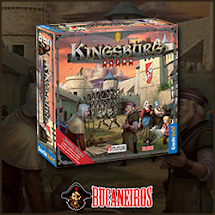 Reiner Knizia tem muitos jogos, o Richard Garfield, nem tanto. Ainda assim, ambos possuem muitos jogos de alto nível para mim. Eu vou citar dois que considero pouco valorizados pelo público. Clash of Gladiators do Knizia e Filthy Rich do Garfield. Quando você está criando muitos jogos você acaba sem muito tempo para testar os jogos dos outros, então eu posso dizer que não joguei muitos jogos. Durante anos, eu praticamente só joguei os meus próprios jogos e o Magic e, atualmente, é muito díficil arrumar tempo para outra coisa além das expansões de Dominion. DV: I put Magic way ahead of the pack. One thing I want out of a game is variety; I don't want to get the same experience every time. Most good games don't actually give me the variety I want, so they're only fun once in a while. Magic has enough variety for tons of gaming, even without expansions, which let you keep playing it for years. Another thing is I don't much like political games - games where you can team up against another player, pick who to hose and so forth. I like games to be low on downtime. I like a decent amount of randomness - not so much that skill doesn't matter, but not so little that the best player always wins. For a board game I particularly admire, I'm going to single out Carcassonne: Hunters and Gatherers. I like it better than the original Carcassonne, as the scoring is better, the topology is better, and you get the special tiles. Reiner Knizia has tons of games, and Richard Garfield not so many, but both have multiple top-notch ones for me. I will single out a good underrated game from each of them: Clash of Gladiators for Knizia and Filthy Rich for Garfield. When you design a lot of games, there isn't so much time left for trying other peoples', so I haven't actually played that many games. For years I mostly played my games and Magic, and these days it's hard to get in time for anything outside of Dominion expansions. Magic, a maior fonte de inspiração do autor. EatJ? : Quando surgiu a idéia para a criação do Dominion e quais foram as suas influências além do Magic? EatJ? : When did you come up with the idea to create Dominion? Did you had any influences besides the afore-mentioned Magic? DV: A idéia veio no meio de 2006 e o jogo foi criado em Outubro de 2006. Não foi realmente inspirado no Magic. Eu estava trabalhando em um jogo chamado Spirit Warriors II, um jogo de fantasia com heróis lutando em diversas aventuras e com um sistema de combate baseado em cartas. No começo, as cartas seriam algo como “cause 2 de dano por ponto de habilidade com espadas que você tem”. Você iria evoluindo sua habilidade com a espada para fazer a carta melhor. Um dia, no entanto, eu percebi que fazer a conta seria muito difícil. Eu criava uma situação e todo mundo que eu mostrei demorou uma eternidade para acabar me respondendo errado. As cartas tem que ser simples como “cause 2 de dano” mas isso me trazia um problema: Como evoluir o herói? A resposta era, conseguindo mais cartas. Quando eu tive essa idéia eu anotei o conceito de um jogo em que tudo que você faria é construir um deck , sem tabuleiro, monstros , nada. Voltei a trabalhar no Spirit Warriors II. Finalmente, em um final de semana que eu estava desesperado para um novo jogo para jogar naquela segunda e o Spirit Warriors II ainda tinha muito trabalho pela frente decidi focar no Dominion. Só precisava tomar algumas decisões sobre regras, fazer 10 cartas e tentar com elas. Foi assim que ele nasceu. Algumas cartas traduzidas para o português. - Magic tem um conceito de dar a cada jogador o seu próprio deck. Quem sabe se eu não chegaria a essa mesma conclusão se não conhecesse o Magic? 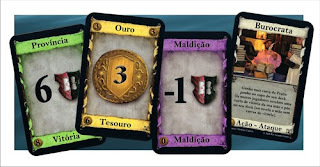 - O Conceito de interação entre as cartas eu peguei do Magic. O Magic, por sua vez, pegou do Cosmic Encounter e do Wiz-War. - Eu já tinha criado um jogo com ações e reações e, no seu turno, você poderia fazer uma ação. - VP’s como algo ruim não é novidade. Filthy Rich, por exemplo, tem cartas de VP que atrapalham você. - A maior parte do tempo, meus jogos lutam para serem não-políticos, com ataques que afetam todo mundo ao invés de um jogador específico. Isso remete às noites de reclamações sobre quem foi roubado pelo ladrão do Settlers of Catan. DV: I thought of the idea in mid-2006, and made the game in October 2006. It wasn't really inspired by Magic. I was working on a game called Spirit Warriors II. It was a game of fantasy heroes going on quests, and had a card-based combat system. At first the cards all would be like "deal 2 damage per point of sword skill you have;" you'd build up your sword skill to make the card better. But I realized one day that doing the math was going to be way too hard. I made a sample situation and everybody I showed it to took forever to get the wrong answer. The cards had to be as simple as "deal 2 damage." But then how do you build up your hero? The answer was, by gaining more cards. Once I had that idea, I jotted down the concept of a game where that was all you did - building a deck by itself, with no board or monsters or whatever - and then went back to working on Spirit Warriors II. Eventually there was a weekend when I was desperate for a new game to play that Monday, and Spirit Warriors II still had tons of work left to be done. Dominion just needed me to make a few decisions about the rules and make up 10 cards to try it with. So I whipped out Dominion. - Magic has the concept of giving each player their own deck. Who knows if I would have thought of that otherwise. - The concept of rules on cards that interact was something I got from Magic, and Magic got from Cosmic Encounter and WizWar. - I had previously made a game where there were actions and reactions, and on your turn you could play one action. - Having victory cards be bad is not new; Filthy Rich for example has victory cards that hurt you. 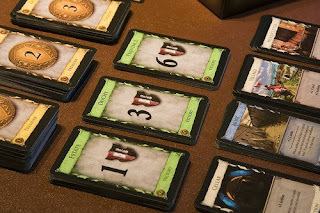 - For the most part my games struggle to be non-political, with things such as Dominion's attacks that hit everyone else rather than targeting a specific player. This goes back to evenings of whining about who gets the robber in Settlers of Catan. EatJ? : Você imaginava que o jogo seria um sucesso tão grande em tão pouco tempo? EatJ? : Did you expected all this hype about Dominion in such a short time? DV: Eu tinha bastante convicção de que iria dar certo com gamers. Essa certeza veio da minha própria experiência mostrando os jogos pessoalmente para as pessoas. Muitas pessoas gostaram tanto do jogo que acabaram se tornando jogadores de Dominion ao invés de gamers. Eu não sabia que iria atrair namoradas e esposas de gamers, o que parece estar acontecendo. DV: I was pretty sure it would go over well with gamers. This was just from my experience showing it to people personally. Several people latched onto it hard, to the point of becoming Dominion players rather than gamers. I didn't know it would go over well with gamer's girlfriends and wives, which it seems to be doing. Todas as traduções foram feitas pelo grande amigo Fel. Não conheço o Dominion pelo que fico na dúvida se a minha sensação está certa: pouco interessa o tema neste jogo, ele foi desenvolvido a partir de 'mecânicas'. A parte que + gostei foi a que ele se refere à rejogabilidade, jogos políticos, downtime, aleatoriedade e do ponto crítico de não ser sempre o melhor jogador a vencer. Como se diz por aqui: boa malha Cacá! 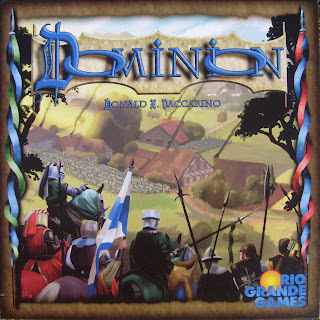 Eu não gosto do Dominion, pronto, já disse. Agora, é um dos melhores do ano no que toca a inovação. O tema é completamente indiferente (poderíamos estar a falar das amendoeiras em flor, valia o mesmo). Quanto à inspiração no Magic ela é até bastante óbvia.